Discover the Damariscotta River where 80% of Maine oysters are farmed and harbor seals, ospreys and bald eagles soar above the coves. Relax with a drink and sample the freshest oysters on the 49-passenger River Tripper, or learn from experts about how to pair the sumptuous oysters with wine. Just two min from Route 1, in Midcoast Maine. Are you dreaming about your Maine vacation? Stay on a yacht for a change! 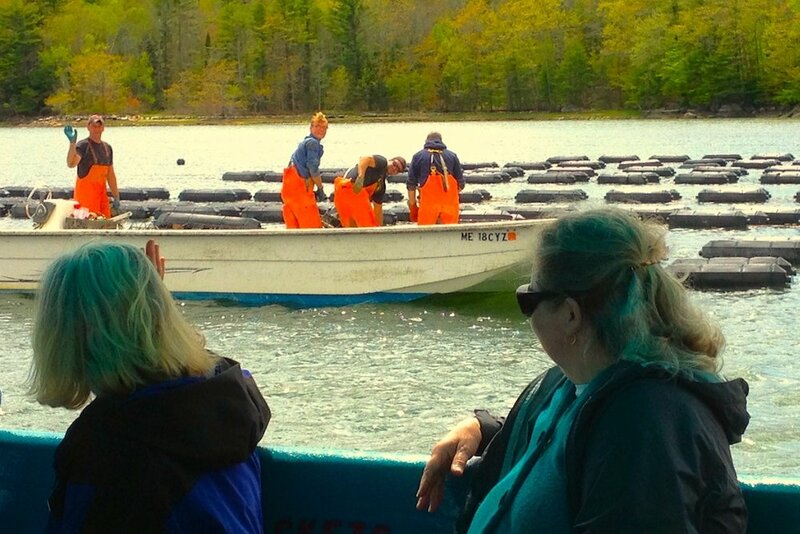 Discover the Damariscotta River’s wildlife and history, and its new role in oyster farming that makes this tidal river world famous. See the harbor seals in action or basking on the ledges, while oyster farmers raise very tasty oysters. 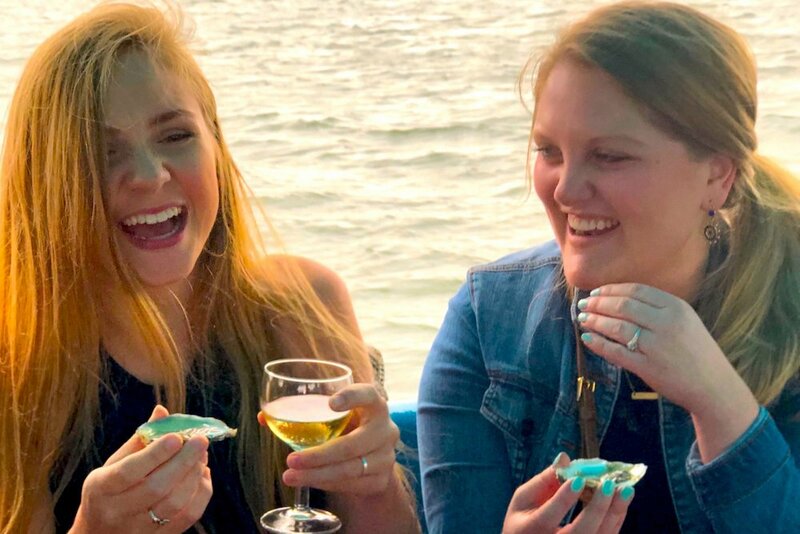 Sample Damariscotta River oysters as you cruise past the farms they were harvested from, and pair them with sensational wines, bubblies, sake, or varieties of beer. A fun sommelier will answer all your questions. An unforgettable ride! Join us aboard for a relaxing ride with a cocktail in hand and enjoy the life of the River unfolding in the glow of evening sunlight. You will pass by the world famous oyster farms, historic homesteads, and the magnificent wildlife. Savor local oysters at the Boat Bar. 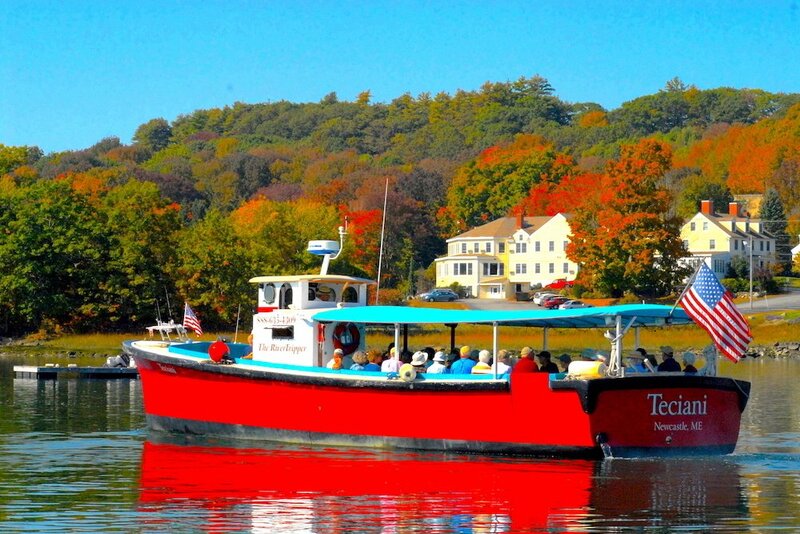 Join us for a leaf peepers cruise to find out how oyster farmers prepare the farm equipment and sow the world-famous Damariscotta River oysters in the fall, while bald eagles, ospreys and migratory birds hover around.